Once the talks have been given, the books signed, and the pictures taken, it is time to get back to the thing I truly love–researching and writing. Today we are back at the British Library. Anyone can come to the Library and enjoy seeing items from its collections on display. Right now, there are two special shows: one on the Voyages of Captain Cook and the other on the experience of the Windrush Generation. You can also see a selection of the permanent collection. You know, things like Shakespeare’s First Folio, a manuscript page from Virginia Woolf’s Mrs. Dalloway, a letter from Jane Austen to her brother… just to name a few of the literary delights. But, if you want to use the Library for research, you need to procure what they call a “Reader’s Card.” This card will get you into one of the eleven “Reading Rooms” which are really little specialized libraries themselves. We generally work Humanities 1–it’s big, it’s airy, its light. I recently read that Humanities 1 is oh-so-common and shunned by the academic snobs who work in the Library daily and prefer Humanities 2.
Who knew people could get uppity about a reading room? In my defense, I can only say that Humanities 1 is large, so in the busy summer months, one can be sure to get a seat. And there’s a printer in 1 as well. And it’s close to the cafe, the drinking fountains, and the lavatories. So there. The atmosphere in this cathedral of knowledge is very church-like. Silent except for the respectful whisper now and then. The light is not bright, but filtered, mild, even, one might imagine, holy. Once you have your reader’s card—even if you are going to the common Humanities 1–you can’t just saunter in with all your belonging and plop down. 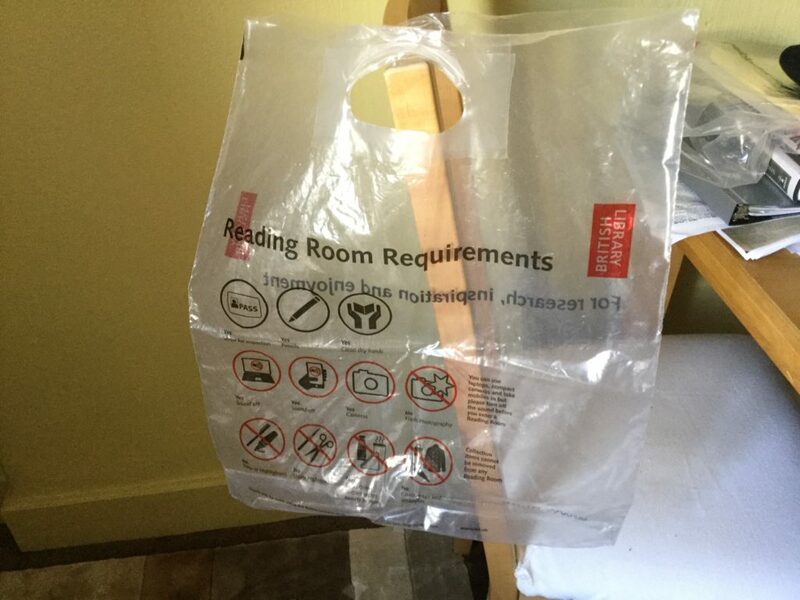 You must show your card every time you enter the room, and you are not allowed to bring your coat, your bag, or (remember this is England) your umbrella. Nor can you bring a pen. The easiest thing to do is drop all your stuff off in a locker downstairs, grab a sturdy plastic bag for your pencil, phone, and papers, then head up to the reading room. This is not the kind of library where you wander through the stacks. Instead, you order the books you want online and then when you arrive, you go to the main desk in your reading room to collect your books. The Librarian will check your Reader’s Card, jot down your seat number, and hand over the treasure. 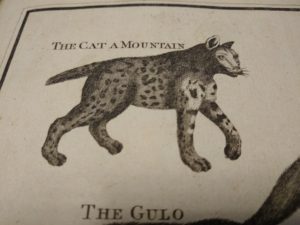 How cool is this Cat A Mountain? And what the heck is it? 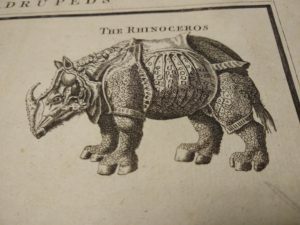 Or this Rhinoceros who appears to be wearing armor? 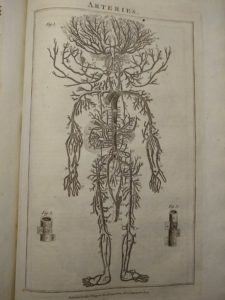 And this map of human arteries? A beautiful tree of thriving inside each of us. 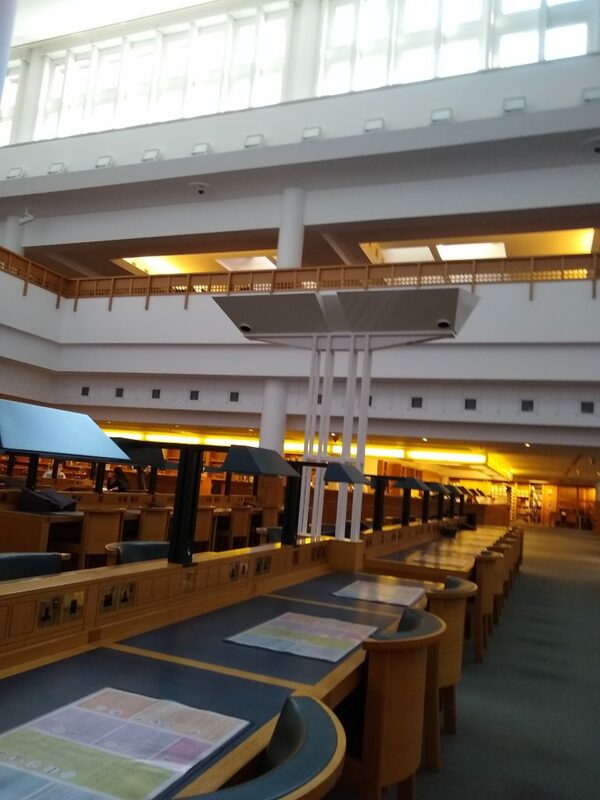 A visit to the spectacular British Library always inspires a reflection on the role of libraries in our lives. Libaries preserve a record of the human condition. They make it possible for us to understand our past, come to grips with the present, and imagine the future. For me, it is impossible to exaggerate how important they are to both our local and global communities. 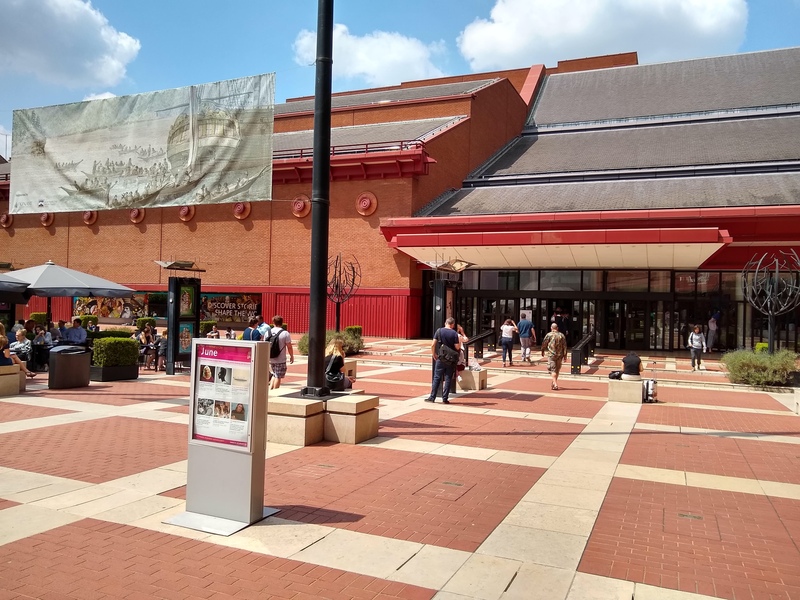 I am still amazed by the fact that applying for a simple card, whether at my lcoal library or here at the British Library, I have access to a wealth of human knowledge—everything from how to fix a leaky faucet to how to live a good life. And the cost to borrow a book? Free. I love it that libraries are for serious scholars and for those of us just looking for a good story. They are for kids, for parents, for friends, for oldsters. They are for all of us. The only thing you need in order to fall in love with a library is curiosity. And once you fall, the love lasts a lifetime.